Clinical trials involving vitamin E supplementation have been mixed – some showed benefits, while others did not. Some trials even reported negative outcomes associated with taking vitamin E.
Is it time to ditch your vitamin E supplement? Perhaps – but find out why first. Although it wasn’t the first trial to show negative effects of these supplements, the SELECT cancer prevention study showed that men who took 400 IU of vitamin E each day had an increased risk of developing prostate cancer. Based on this and a few other quality studies, the Linus Pauling Institute ceased recommendations for high-dose vitamin E supplements. But remember: no matter what a clinical trial on supplements shows us, vitamin E is still important for your health. It has important antioxidant roles in cell membranes that can affect the function of nerves and organs and mitigate oxidative stress throughout the body. E is also critical in brain development and, therefore, is especially needed during pregnancy. Research studies on Alzheimer’s disease, lung function, and risk for miscarriage have shown positive results with supplementation, but much of the data is preliminary and requires further evaluation. At the LPI, Maret Traber, PhD explores the health effects and metabolic functions of vitamin E. Along with her collaborators at Tufts, Dr. Traber’s research team used a labeled version of the vitamin in collard greens to show that blood lipids – like cholesterol – can alter how long alpha tocopherol (one form of vitamin E) remains in the body. Since it dissolves in fat, vitamin E normally travels with blood lipids into tissues. People with chronically high blood lipids have trouble clearing them – forcing vitamin E to remains in the blood stream. That sounds like a good thing until you think about where it is NOT going: if more E stays in the blood, less may be getting into tissues. This is especially problematic in people with metabolic syndrome, where high lipids are associated with inflammation, and a higher demand for antioxidants like vitamin E in tissues. The current evidence suggests most people are not eating enough vitamin E. Estimates are that over 90% of the adults in the US do not reach the recommended levels of vitamin E per day in the food they eat to maintain good health. Children and teenagers are also falling short. A change in the recommendations or recent headlines should no reason to avoid vitamin E. The LPI supports the recommendation by the Institute of Medicine of obtaining 22.5 IU/day of alpha tocopherol. This can be achieved through eating rich food sources, including almonds, sunflower seeds, wheat germ, olive oil, and vegetables that are naturally oily (like avocados). However, if you aren’t eating enough E, you’re not alone. To make sure you get what you need, the LPI now recommends taking a multivitamin supplement containing 100% of the Daily Value for alpha tocopherol. Clinical trials like SELECT only saw negative health outcomes of vitamin E when far exceeding these levels, so the amount in many multivitamins is generally considered safe. Along with other research topics, the LPI highlighted vitamin E in the 2015 Diet and Optimum Health conference. Top researchers in the field with breaking research on the subject, including Dr. Traber, discussed vitamin E’s role in stroke and metabolic syndrome, the prevalence of deficiency, and the interactions with vitamin C.
Concerning Vitamin E you the consumers have to not cherry pick a few studies that often are picked up by the newspapers and appear in the newspapers without giving the scientific parameters and consider more important detailed scientific studies. Of coarse all studies are subject to criticism and are works in progress on a complicated subject. Overall the studies indicate mostly benefits from higher doses of Vitamin E and no so much benefits from MDR. There are 8 forms of vitamin E. Did the studies use the mixed form of E , or the single form most widely on the markets. What amounts/ dose (units) were used and were other vitamins and minerals used. Where, e.g. E, A, C and selenium and zinc also used. Factor like age are important. One test used men 60 years and older. Most likely the are beyond prevention measures like for more advanced heart disease and prostate disease. Are the statistical difference between placebo and non-placebo significant. A 1-2% difference may not be significant with so many variables. Pre-existing and age conditions are important when devising a test. 1) A nurses and physicians study suggested a reduction of heart disease by 40% with Vitamin E supplementation. 2)A study by US Cancer institute and Finland’s Public Health Institute with 29,000 males found that supplementing with 50mg of vitamin E reduced prostate cancer by 34%. My reference for the above ! & 2 items is ” The Real Vitamin and Mineral Book” by Shari Lieberman, pages 326-327. 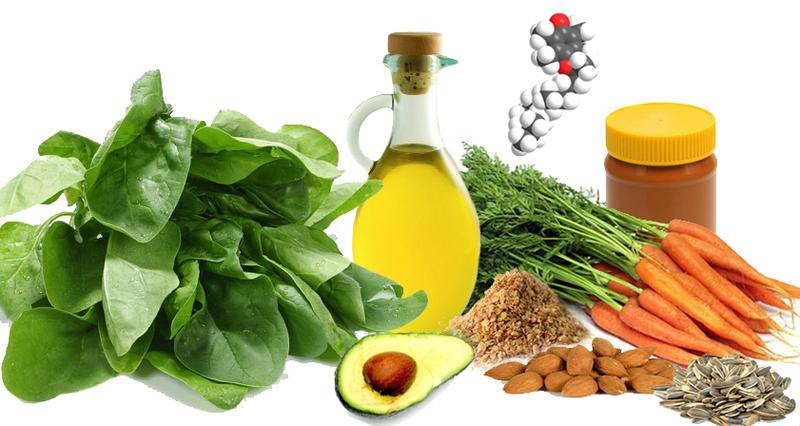 3) Vitamin E supplements with selenium enhanced resistance to auto-immune diseases and relived symptoms of diseases like discoid lupus and rheumatoid arthritis. My references for above 3 & 4 are the above book, page 105. The greatest protective doses were found to be higher than that found in multi-vitamins with RDI’s , or eating food. Benefits take pace at levels of 100-249 units per day and up. Reference on page 104 of above book. 5) Landmark studies by Cambridge show reduced risk of heat attack by 59-60% when 125,000 men and women supplemented with 400-800 IU a day. A reference is ” Orthomolecular Medicine for Everyone” by Hoffer, page 137. No poison cases have seen exported from vitamin E with higher dose ranging from 1,200 units to 8,000 units. pages-119-120. Orthomolecular Medicine for Everyone by Hoffer. Summery: I have read contrary reports in the news, but the studies appear often flawed due to too low a dose , past the age of prevention e.g. 60 and up year old men, lack of vitamins and minerals that work with vitamin E to enhance it’s effects, not using mixed E’s, insignificant statical differences with so many variables, and poor design. It has been published in LPI in the past alpha tocopherol is the only vitamin E used in the human body. Is this true.? Why would there be 8 different kinds of tocopherols and tocotrienols then? Are they present in the human body in an active form. Should we not be suggesting to patients to use mixed tocopherols instead of alpha tocopherol. Was that possibly the issue with the cardiac and prostate cancer studies. If someone comes in with low vitamin E then how do you dose the recommendation? The liver has a protein that selects only alpha tocopherol and preferentially keeps it in the body. The other forms of tocopherols and tocotrienols are not retained as well. Although they can be present in the body, it depends on the amount and frequency of consumption of these forms of vitamin E. The recommendations for intake for vitamin E are all based around alpha tocopherol, as it is the only one that has been shown to be needed by the body. Supplementation with other forms at high doses – including some of the synthetic forms of alpha tocopherol – might be the cause of some of the negative findings of vitamin E reported in the literature, but this yet to be confirmed. Regardless, taking the recommended daily allowance of alpha tocopherol will satisfy all vitamin E needs by the body. I am retired dentist. Have been taking 400 in of vit E daily since 1964, with no adverse effects. Need me for a study? I am in perfect health at age 72. Contact me above for info. We are not conducting any clinical trials at the moment, but we do occasionally call for subjects in the area surrounding Corvallis, Oregon. If you’re interested in participating, you might consider signing up with local subject registries that assist in enrollment.